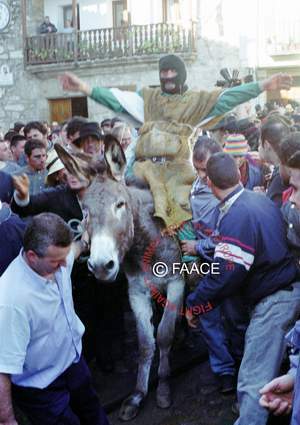 On 16th February 2010, a helpless donkey will be dragged onto the streets of Villanueva, Spain to make him participate in a ritual that makes him suffer, where he is ill treated and he endures an unnatural and cruel treatment. Law 5/2002 from the Animal Protection Act of Extremadura forbids these practices that, regretfully, are still carried out with the Council’s complicity and the silence of the Extremaduran Government and the regional press, that hides from the public eye the true nature of this ritual. Spanish donkey Sanctuary El Refugio del Burrito, along with other welfare groups worldwide want this Law to be enforced. The law is supposed to prohibit the use of animals in shows, fights, popular celebrations and any other activities which may imply cruelty or ill treatment or make them the objective of unnatural treatment. All of these cases happen during the Corrida de Elecciones ritual and it is an obligation of the Council’s to enforce this prohibition. Please sign this online petition to protect the Peropalo Donkey, which will be handed in the Government headquarters in a demonstration that will take place in Merida at the beginning of February. This is horrible, please sign or write to the major! I don´t quite know what to make of this what exactly are the donkeys subjected to? I know about the maltreatment of bulls and galgoes and suspect that no animals are safe from theat special brand of animal cruelty the Spaniards inflict on even the smallest creatures. their lack of compassion and care for other life forms is astounding and heartbreaking. I can only hope that these cruel practises are terminated once and for all. Most sincerly Lisbeth Mønsted Larsen Greyhound Action Denmark.